Not sure why I had not reviewed this beer before, I have had it a few times over the years. Dogfish head has a pseudo Christmas/Winter Ale that is sure to warm you up! 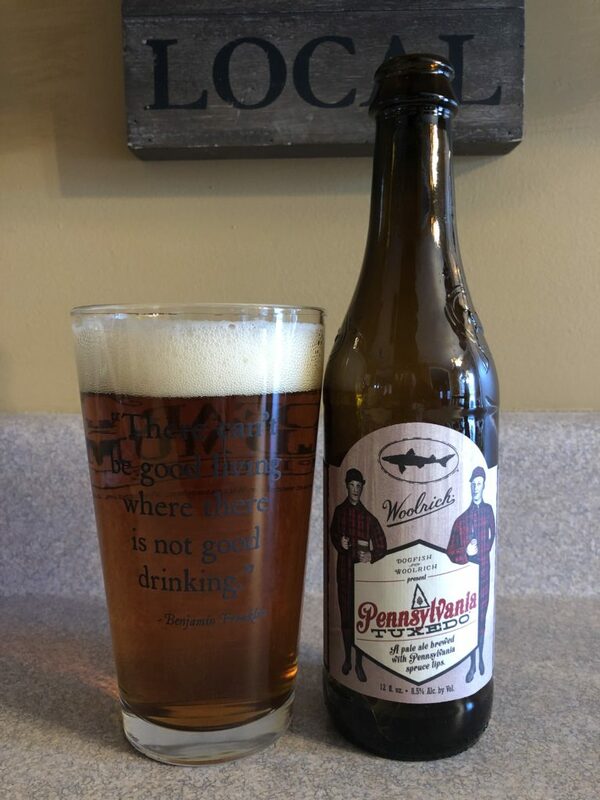 Pennsylvania Tuxedo is a pale ale with a dark copper color, a hoppy scent and an amazing alcohol content (8.5%). The included “spruce tips” flavor hits you on the back end in a very subtle way but enjoyable. The high alcohol content and the strong earthy flavor will warm your throat even right out of the cooler. I have enjoyed this beer for a few years now and hope you do as well. 3 stars plus .75 for the high alc content! Cheers.